For readers who followed "Enrique's Journey," "Outcasts United" is another equally moving account of refugees finding a new life in the U.S. Based on the adult bestseller, "Outcasts United: An American Town, a Refugee Team, and One Woman's Quest to Make a Difference," this young people's edition is a complex and inspirational story about the Fugees, a youth soccer team made up of diverse refugees from around the world, and their formidable female coach, Luma Mufleh. Clarkston, Georgia, was a typical southern town until it became a refugee resettlement center. 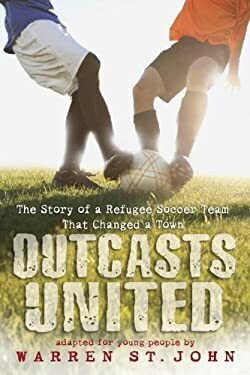 The author explores how the community changed with the influx of refugees and how the dedication of Lumah Mufleh and the entire Fugees soccer team inspired an entire community. "From the Hardcover edition."